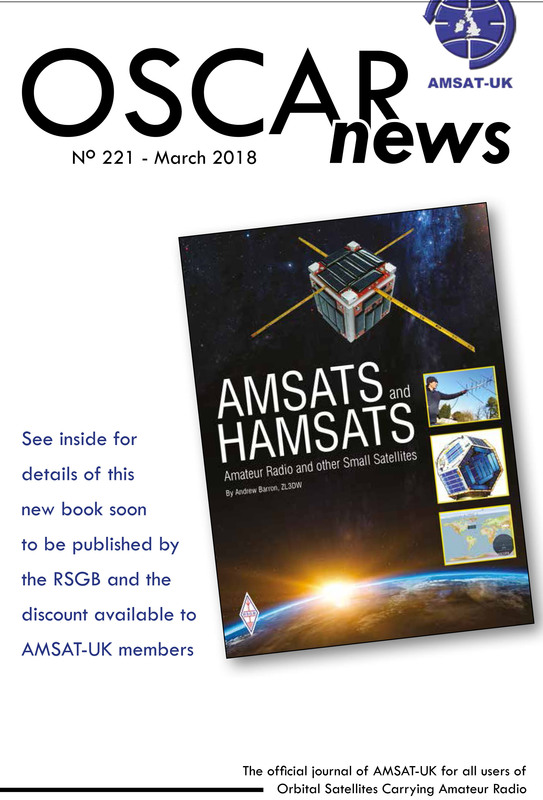 E-members of AMSAT-UK can now download the Winter 2018 edition of OSCAR News here. 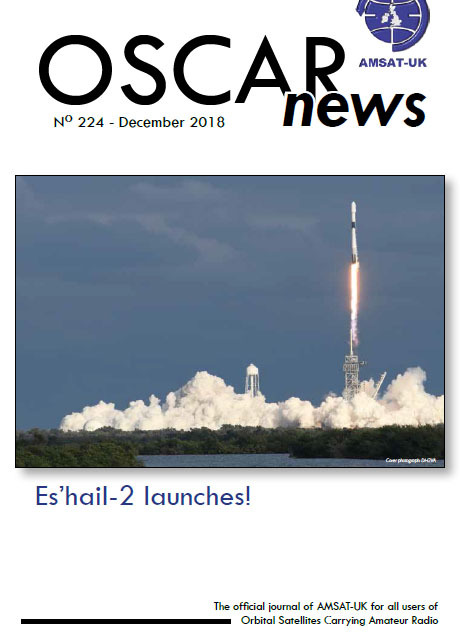 • We were there at the launch of the Es’Hail-2 satellite! 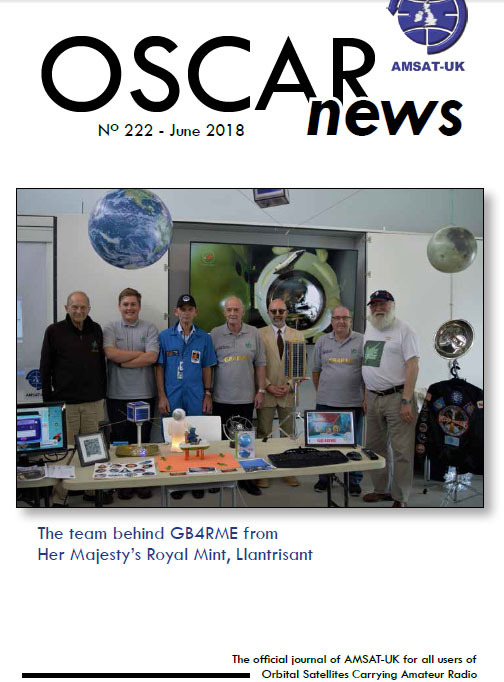 E-members of AMSAT-UK can now download the Summer 2018 edition of OSCAR News here. • Things that fall from the sky! • Pointing that Dish for Es’hail-2! 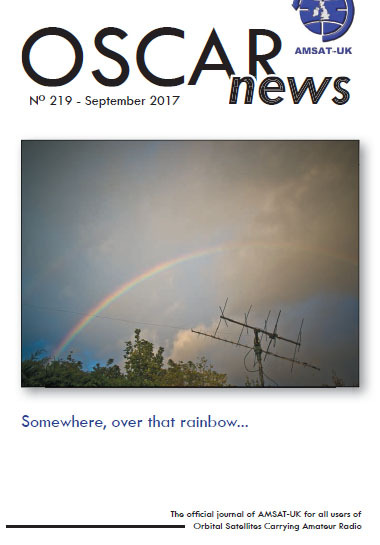 E-members of AMSAT-UK can now download the Autumn/Fall edition of OSCAR News here. This edition features a low cost ground station using a DTV Dongle, SDRSharp and FUNcube Dashboard to capture Telemetry from the FUNcube satellites. • Just when you thought it was safe to do an ARISS contact in the UK! • NOVA Satellite Tracking programme now free! 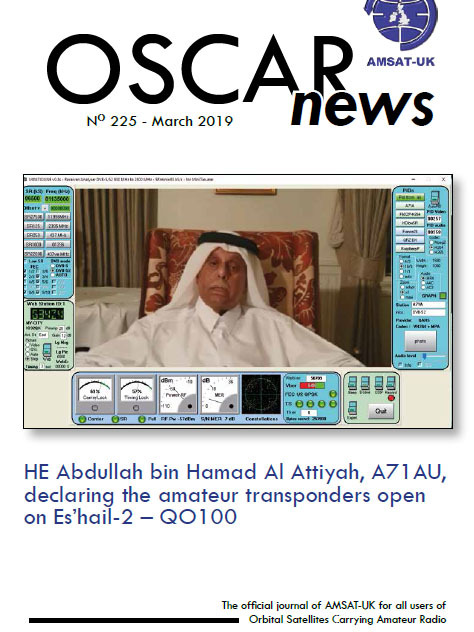 E-members of AMSAT-UK can now download the Spring edition of OSCAR News here. 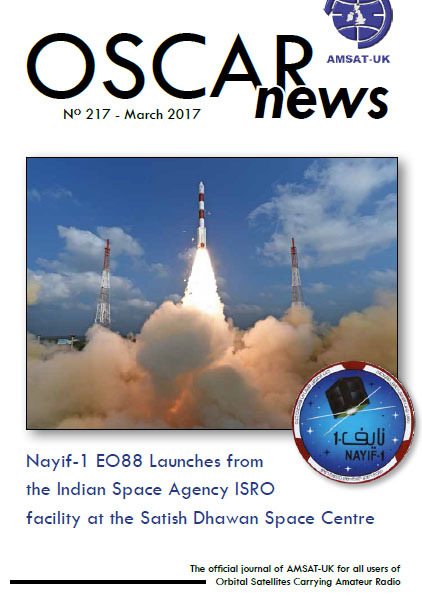 This edition has the latest information on the new Nayif-1 EO-88 CubeSat which carries a 435/145 MHz amateur radio linear transponder.